Friday - Saturday from 19:30, 2 episodes daily. 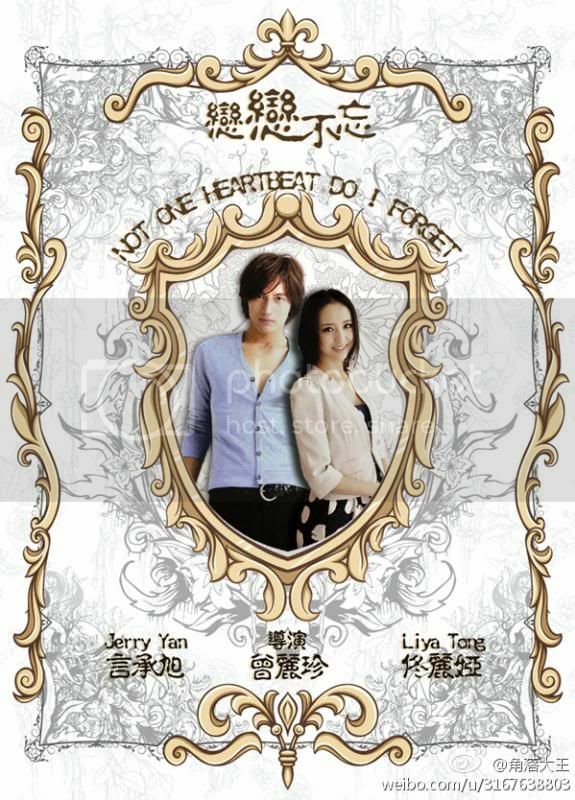 "Unforgettable Love", Jerry Yan plays a role of Li Zhong Mo, a CEO, after having a one night stand with a woman (Wu Tong) plays by Tong Liya, finds out that he has a son after seven years leading to a custody battle with the woman. However, he later finds himself falling in love with her. Wu Tong (Tong Li Ya) a single mother with a son ( Wu Tong Tong) live in a big city, poor but with full of hope & joy. 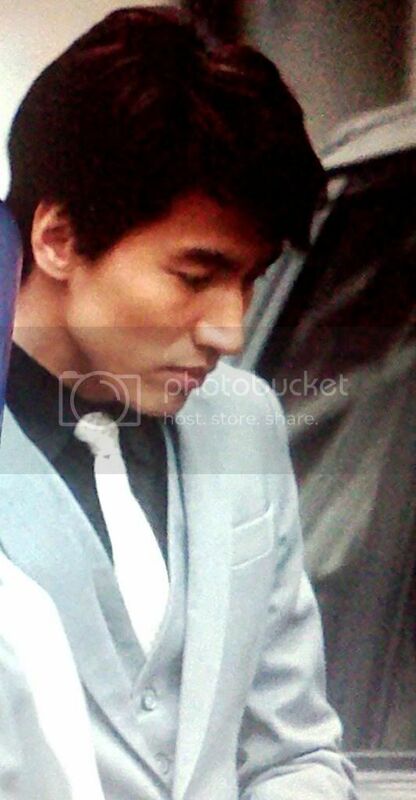 Li Zhong Mo (Jerry Yan) accidentally found out about his son existence, battling to get the custody of the boy. In the process, the intimacy of father and son relationship soon to emerge. 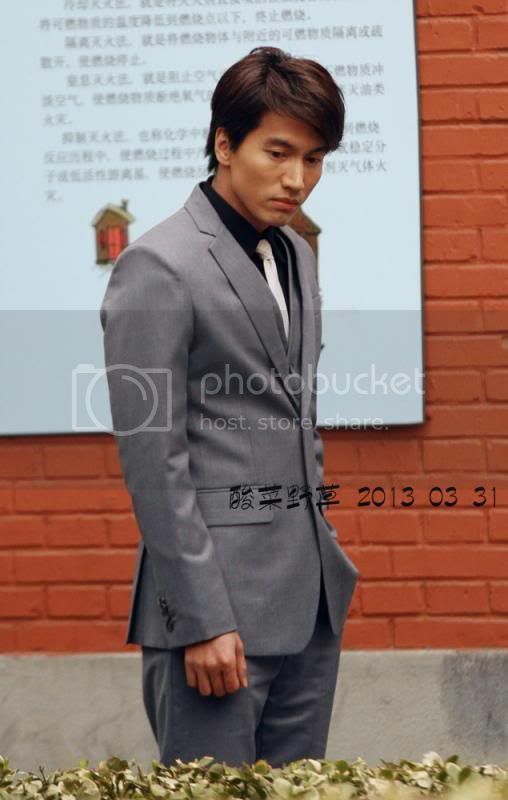 Li Zhong Mo (Jerry Yan) whose childhood upbringing was lack of motherly love, doesn't want history to repeat itself on his son.will he and the mother of his son able to learn understanding, tolerance, overcome their resentment, blame, prejudice, build their trust and love for their son sake...to be married and become a reunite family? Edited by Myvi, 04 July 2014 - 02:27 AM. 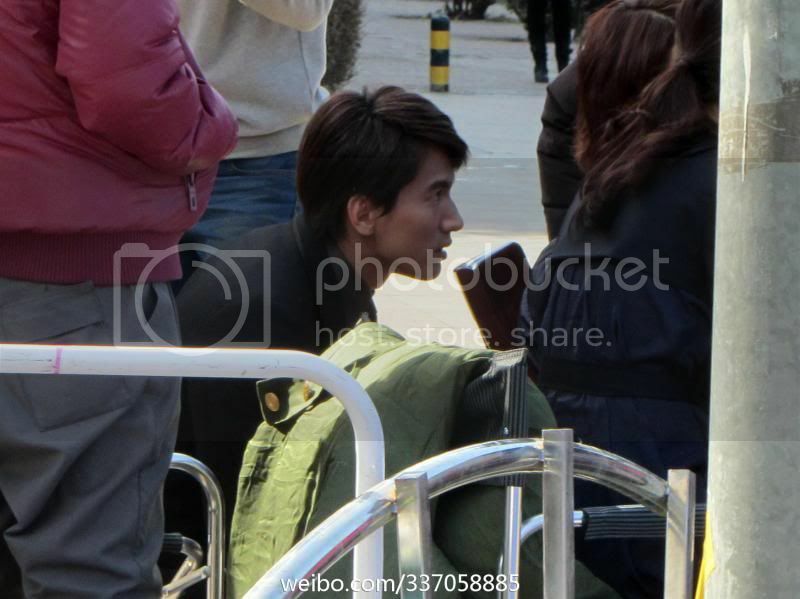 A very interesting story,,,honestly, it's not that it's our first time hearing bout the story, but it's just that Jerry Yan gives this story a different feeling. One will get excited and will look forward on Jerry's performance dealing with a child as his son(Cute). On top of that, of course Jerry's performance on dealing with an actress named TLY who is beautiful and we can't denied the fact that a story of man having a one night stand with a woman who will soon or probably he will fell in love with is a story that can easily capture the attention of the people. 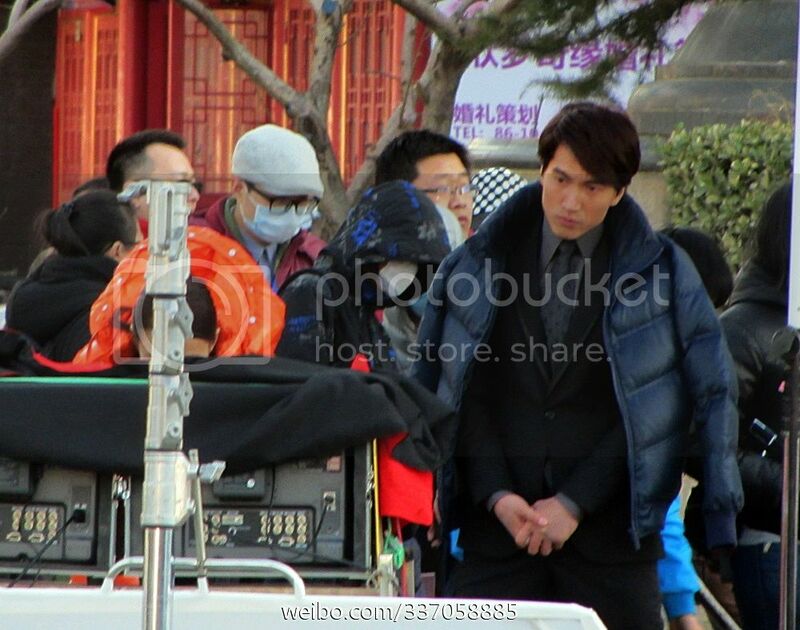 For Jerry Yan fans,, we love it that Jerry got this role, more mature role that will showcase his talent in acting. I'm so excited! Edited by Precious87, 18 April 2013 - 12:58 AM. 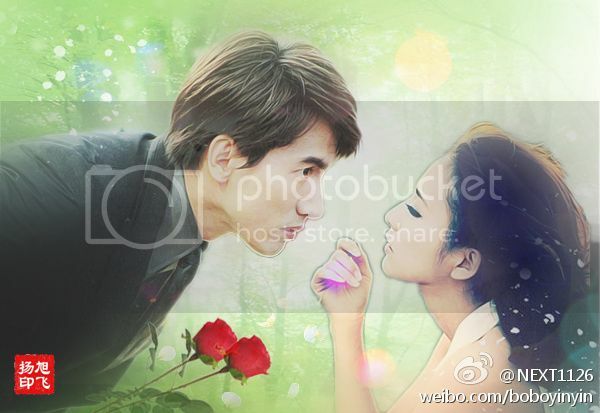 "Unforgettable Love", Jerry Yan plays a role of Li Zhong Mo, a CEO, after having a one night stand with a woman (Wu Tong) plays by Tong Liya, finds out that he has a son after seven years – leading to a custody battle with the woman. However, he later finds himself falling in love with her. love the plot and i can really imagine how much emotions Cheng Xu will pour out in this series. he loves family, that is definite. love the last paragraph... it's one of a kind and it's really a tragedy as the father is seeing that his early life is being repeated to his own son. there is indeed a battle between the heart and the will. aww, such a great moral story again... thanks so much for the plot synopsis, Myvi... really can't wait to watch it! 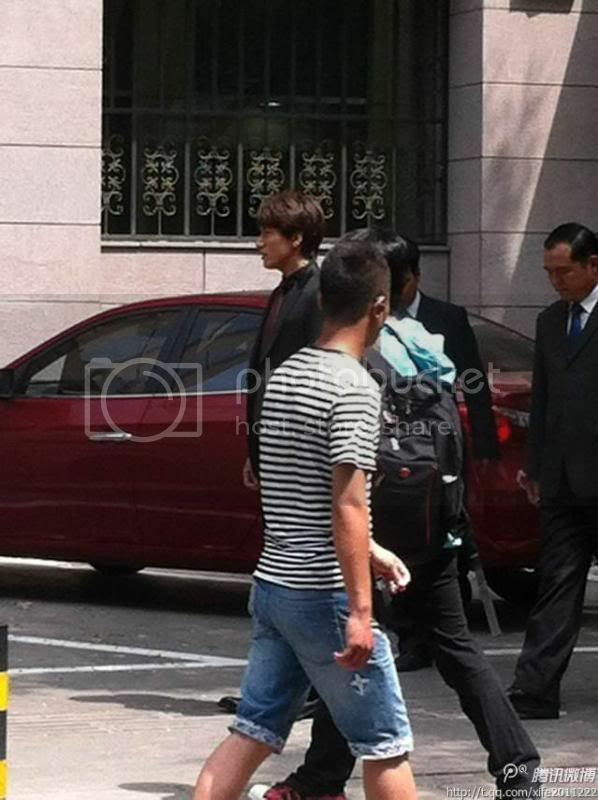 It was reported that days ago in one afternoon, Jerry Yan filmed the new drama with Tong Liya and a little kid in Beijing in a small district. Jerry wore suit and tie holding a little kid filming a scene of the three passing through the crowd. After several takes, the director finally accepted it. one sweet happy family... thanks for sharing! AHHHH...I want Jerry to have his own child for real if he would be like that, playful and happy,look like a child too. So cute and adorable Jerry! so happy Jerry...I wonder what they were talking bout...what a pure smile of joy!. wow,..i think one of Jerry's signature putting his hand inside his pocket, cute, and this time around, on the other hand carrying his child regardless of his weight. Edited by Myvi, 19 April 2013 - 01:52 AM. on the other hand carrying his child regardless of his weight. She is actually the 2nd female lead name Feng Jing 冯婧... her role name in the drama is Mandy..
oh, i see... thanks, Myvi, for correcting me! hoping tat Jerry will have OST song for Lianlianbuwang...the last one we hear from Jerry was for My Splendid Life OST..
lol, she seems to be having a hard time with her shoes... but i like it... it's my first time to see her wear a rubber shoes for the set! Edited by Precious87, 17 May 2013 - 12:38 AM. they look such a lovely couple... i love their being a one family too! TLY is simple but when she smiles, she really looks adorable! 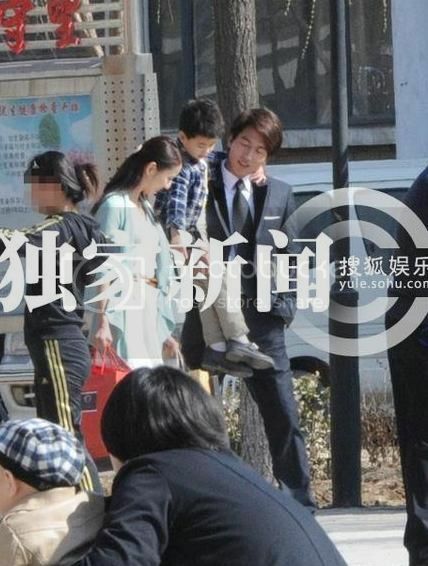 sharing... credit to yc forum.. this pic was last may 16... our CEO's son on a shoot... playing by himself... he's so cute just like his ''papa''! Jerry loves kid...he enjoys interacting with them..looking foward to see the son and dad interaction..
indeed... wanna watch his 2 series simultaneously this year! 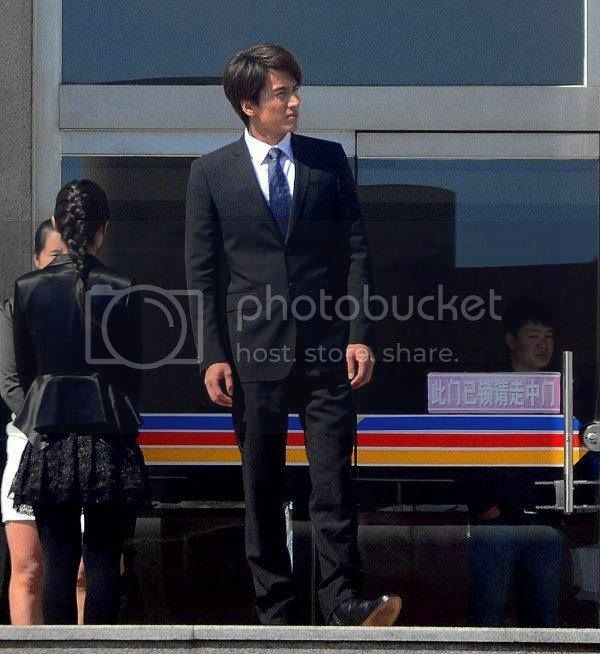 looking foward to see the son and dad interaction..
aww, super love his look.... the very prominent face, the perfect nose, and the not smiling style! indeed, he owns me... the chief executive officer of my life!!! just saw this.... credit to YML. oh my God! He is BREATHTAKING!,,..
Oh Jerry is stunning up there...that lady beside him, is that his wife?.. indeed,,agree! very very cute like his father!..oh, I miss Jerry so much!.. CEO's wife... she looks lovely... love her outfit here - plain and simple! shooting for today or yesterday: TLY and son shopping. oh my GOd!..so cute,baby and mommy..where's the handsome daddy?..they all look handsome and beautiful..
oh my baby's so handsome!...Gosh!..I'm melting just him standing like that staring at someone or at something can easily melt my heart..
Edited by Myvi, 21 June 2013 - 05:55 AM. that lady beside him, is that his wife?.. i don't think so... guess that was his actress-girlfriend named Mandy. still, he wasn't attracted easily... lol, and what actually caught his heart to her is the beauty of her heart more than anything else, i suppose! also, i read that the novel has really a good story.... one daughter of a jms had it and read it 3 times... it was very touching as she said to her mama! lol, i wanna watch this!!! oh no.. I feel like I don't want the filming to end...I always want to hear,see and be updated of what's happening with Jerry and without him filming or doing any project since he's so private we wouldn't be given the chance to see him and that always worries me. 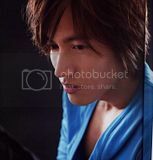 wanna have a copy of that novel too..really, sounds interesting...love romance books/novel. love him as he is now... idk but whatever he wants, i simply want too. there's one to look forward, though.. his Japan fan meet in Aug 10. and also, he needs to rehearse for that, so it seems great to me for him to be back home for a while before heading to Japan. Google translation: "God gave me such a good body, but I used to stay up late. . . Ready to call it a day!" hope she's having a great time working with our man! btw, read also from nbbbs that the novel has been multi-awarded for its wonderful story... aww, really wanna watch the film adaptation soon! cute, funny and naughty boy! there's one to look forward, though.. his Japan fan meet in Aug 10. and also, he needs to rehearse for that, so it seems great to me for him to be back home for a while before heading to Japan. I'm also looking forward to Jerry's fan meet in Japan..and I'm wishing someday Jerry would have one also here in the Philippines as we all know, Jerry's Filipino fans are all going crazy over him especially when they knew Jerry has new drama coming soon. now I know why Jerry accepted the drama..OMG!.. just read recently that the artist who's playing as the CEO's child is actually a girl... lol, i really wonder why the director chose a girl instead of a boy. anyways, the girl was in pink skirt smiling happily to her fans yesterday at the shoot. she seemed to be a very cool actress... and if one would look at her weibo, she replies to the jms posts in her weibo... she seemed to be a friendly person... though for sure, she played a tough mama at the film! hope she really had a great time working with Cheng Xu! also, just some tidbits about the lead actress' life... it was reported that TLY is also doing another series side by side with this one.... this time, it is directed by none other than her boyfriend... real and reel director-actor-boyfriend. 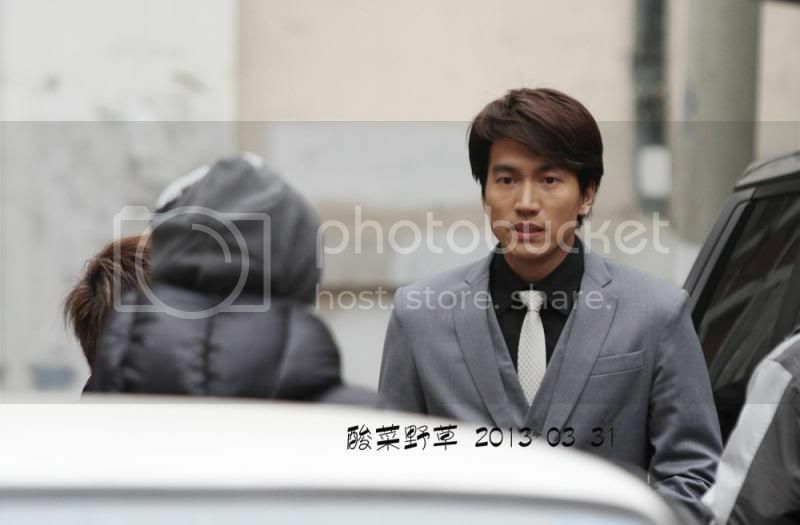 the two had spent a dinner with Cheng Xu last monday. indeed, but if one would look closely at her face, she really looks like a girl... i just hope that this film wouldn't make her feel one less feminine in this world. 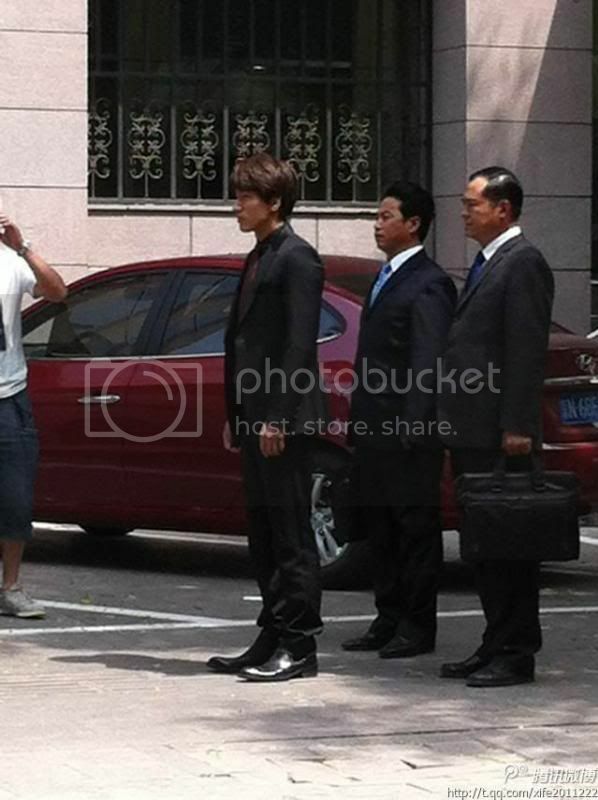 sharing... BTS.... credits to weibo user. the 2nd female lead posted this on her weibo yesterday... she said that this is just a props... and added something about party... seems like she enjoyed working at this series!